» Market updates » Performance Check !!! Stocks Indicating current status as Open* figures indicate stocks which have met short term targets and are to be looked upon only for long term. Stocks With current status Open are ones which we consider ideal for both short and long term. 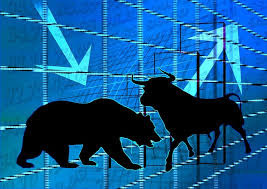 Since the market is volatile currently, I am looking forward for some more correction to recommend the new stocks. Therefore new recommendations shall follow after market stabilises. Also you can track our performance monthly by keeping a view on portfolio tab above. Dear readers, after reading the Content please ask for advice and to provide constructive feedback Please Write Relevant Comment with Polite Language.Your comments inspired me to continue blogging. Your opinion much more valuable to me. Thank you. A Stock Market Geek, an active advisor and a Funda-techno analyst. Knows how to dig into fundamentals and charts to get most out of the companies. I believe not only digging into fundamentals and investing is important but also timing your investments and grabbing them at right time and getting quick returns. Trends in stock markets should never be ignored. Most of my calls are of the scripts which are in good uptrend. The Equity Bull © 2015. All Rights are Strictly Reserved.